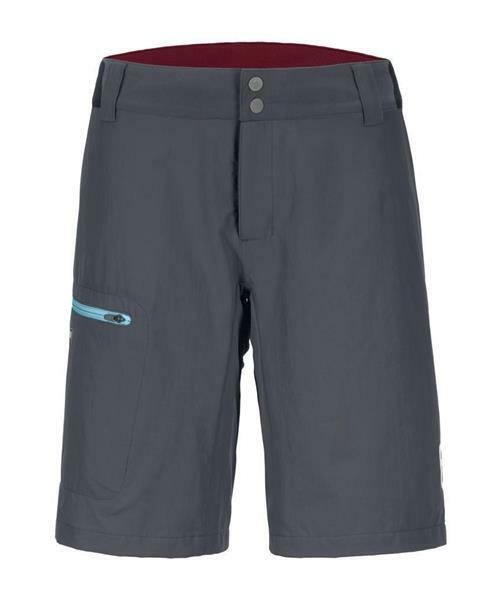 These short alpine pants are made of scuff-resistant material that remains elastic, light and breathable. As far as features go, Ortovox focused upon what’s important: Small essentials such as a cell phone or map can be stowed in the two pockets or the map pocket on the thigh. Soft merino mesh inserts in the waistband and pockets ensure maximum comfort in the right areas. This makes the Pelmo Shorts for women the perfect companion for alpine activities that demand lightness and functionality.